Have you thought about doing a car boot sale but don't want the early start hassle? Well on Sunday the 6th April St Raphael’s will be holding a table-top sale at St Bede’s Conference Centre so you can sell your old unwanteds without waking up at 4am to pack the car and drive to a crowded field halfway towards Guildford. 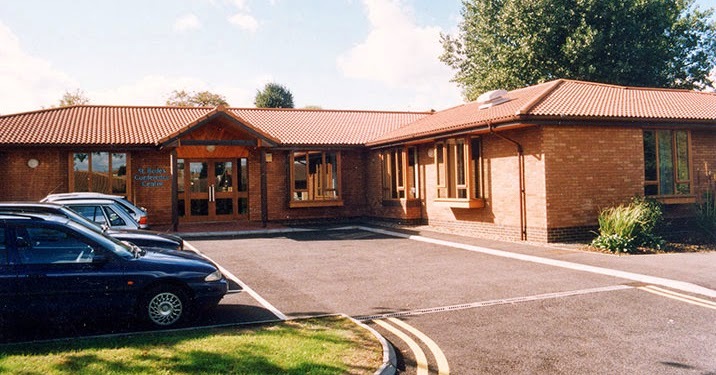 As many blog readers will already know, St Bede’s Conference Centre is tucked in behind St Raphael’s which even more blog readers will already know is on the left as you enter St Anthony's hospital off London Road. "a great way of having a spring clean out, raising money for the hospice and also making a bit of cash for yourself!" Stallholder's can keep all the proceeds from their stall. The money going to St Raphael’s is the £10 fee for having a stall there. So you can de-clutter your home, make some money for yourself and raise money for St Raphael’s all at the same time. Now if that isn't a win-win-win situation I don't know what is! It all kicks off at 10am on Sunday 6th April and is finishing at 1pm, so it's only three hours out of your busy schedule. You will need to book your table by 20th March. That's Thursday (in two days time) so you'll need to get onto it quickly. You can book by contacting Teresa Fulker on 0208 715 5005 or 07505 563 758 or at teresafulker@hotmail.co.uk.